From Orlando Reeves and the Seminole Indians, to Sea World and Disney World, Historic Photos of Orlando is a photographic history collected from the areas top archives. With around 200 photographs, many of which have never been published, this beautiful coffee table book shows the historical growth from the mid 1800's to the late 1900's of ?The City Beautiful? in stunning black and white photography. The book follows life, government, events and people important to Orlando and the building of this unique city. 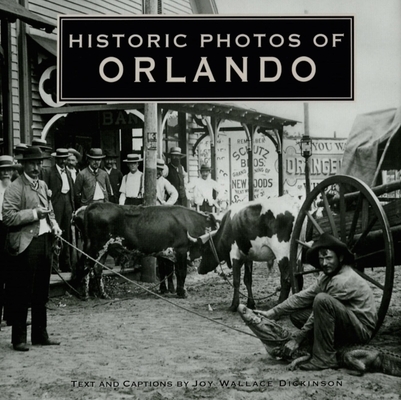 Spanning over two centuries and two hundred photographs, this is a must have for any long-time resident or history lover of Orlando.